1. Heat a pan and dry roast each ingredients separately. Do not roast together. 2. 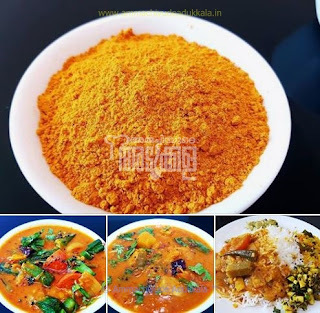 Do not roast turmeric powder, it can be can be added to all the ingredients at the end. 3. 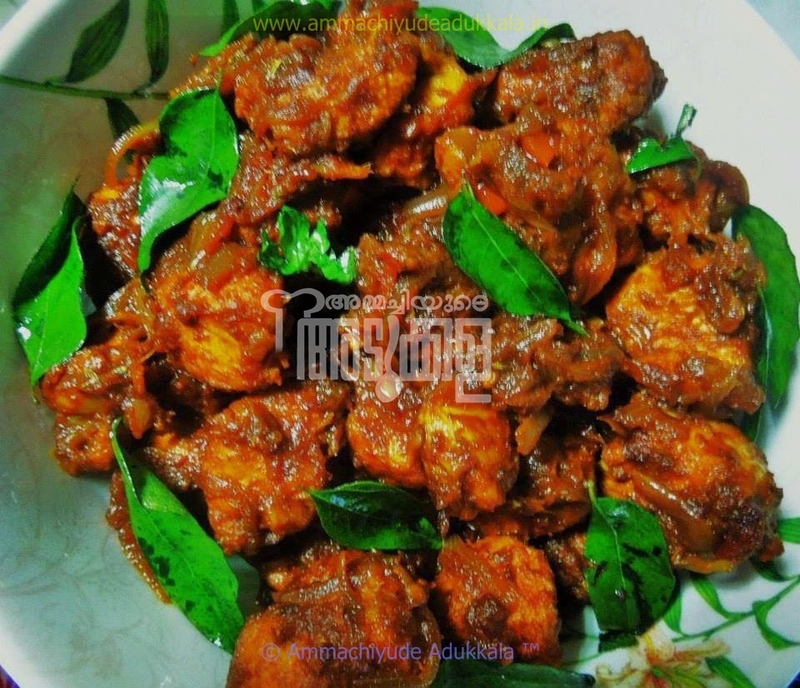 Use compounded Perumkayam for roasting. Do not roast if you are using powder. Just add along with Turmeric powder. 4. Grind everything together in a grinder and keep it in an air tight jar. 5. This can be used for preparing 10 persons sambar for 10 times. One time Sambar for 100 persons. 1. Wash the chicken and marinate with ingredients listed under ‘for marination’ and keep in the refrigerator for half an hour. 2. Shallow fry the marinated chicken pieces till it becomes half cooked. 3. 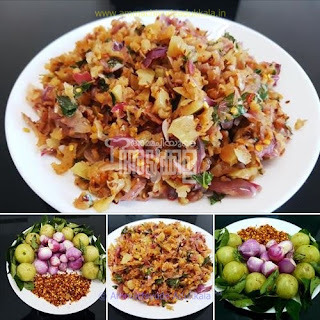 To the same pan, add sliced onions & salt, cook till onions become golden brown in color. Add ginger & garlic paste & cook for 2 mins. 4. Add coriander, red chilli, garam masala & fennel powders. Fry for a minute or till the oil starts appearing. 5. 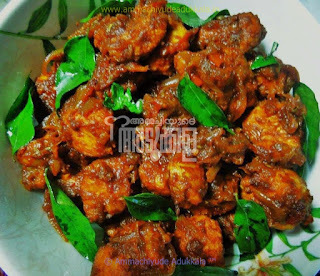 Add sliced tomatoes & curry leaves., mix well & when tomatoes become soft add fried chicken pieces & give a good stir. 6. Add thick coconut milk, cover and cook till the gravy becomes very thick. 7. The chicken pieces should be cooked well & coated well with masala. 8. 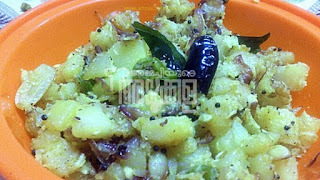 Serve hot with roti, appam etc.. Here I used boneless chicken, can use bone in also. Final Stage of filling a Shawarmaa !! • To prepare chicken, combine first 7 ingredients in a medium bowl. Add chicken to bowl; toss well to coat. Let stand at room temperature for 4 hrs or overnight. • To prepare sauce, combine yogurt and next 3 ingredients (through 1 garlic clove), stirring with a whisk. • Place pitas on grill rack; grill 1 minute on each side or until lightly toasted. Place 1 pita on each of 4 plates; top each serving with Tahini paste, then garlic paste, full lettuce leaf, chopped tomato, chopped lettuce, French fries, Chicken slices, pour some more garlic paste. • Roll the Pita bread, folding the bottom first. 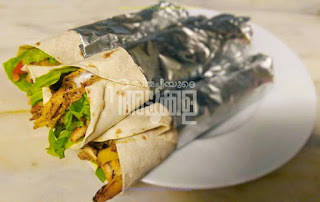 Roll it tightly so that the filling stay tight and finally roll it over an Aluminum foil. • Just before serving keep it in an oven to heat it up, serve hot. 2. Add salt, coconut oil, sugar and Fenugreek powder.